On RTÉ Radio One’s Today with Miriam O’Callaghan. 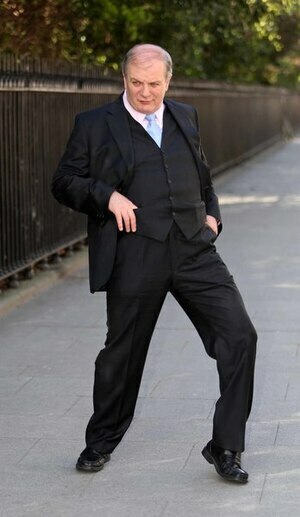 Barrister Noel Whelan told Miriam he’s not going to run for president. “In the last two weeks, I suppose I felt it was important enough to reconsider the decision again for two reasons. One, because I was surprised by the extent of reaction to the people saying they wanted to have an election and I think there’s a majority, a substantial majority, sorry, minority – I emphasise it is a minority – that has issues around the president contesting again in circumstances where he promised one term. And, secondly, I think the fact that Fianna Fáil and Fine Gael didn’t have a candidate and weren’t in a position to or had decided not to, as it were, compel their councillors. Then that had opened, in my case, at least, a pathway to getting a nomination onto the ballot paper. “But, having revisited it again and, you know, Eileen Gleeson, actually, is the best person to explain what the presidency was on a panel with you here two weeks ago. She said to people and it’s worth bearing in mind across the next three months. That when you hear the candidate, close your eyes and imagine, can they hold it at the UN General Assembly on behalf of Ireland? How do they sound, she said, at a diaspora event, in an Irish event, in Auckland or Chicago or Toronto? And how would they deal with a political crisis like we had, to some extent, after the last election. And she said you need to think of the person in that context. “Now, I’m very conscious that anybody who puts his or her name up for consideration for the presidential election is going to be met with the suggestion, well ‘who do they think they are?’. And, you know, I come from a family of 12, from a small, rural post office in a little village in south Wexford, the first of any generation to get the chance to go to college which changed and transformed my life. And to think of oneself in that role or to have people say it, each of the candidates has is, ‘you should think about applying for putting up for that role’, is a big reach and ambition. Posted in Misc and tagged Noel Whelan, president campaign at 2:48 pm on July 24, 2018 by Bodger. Sources familiar with Duffy’s plans claim up to 15 councils are willing to nominate candidates. By law, councils must wait until Eoghan Murphy, the local government minister, moves the election writ, which is expected to be around August 28, before they formally nominate candidates. Posted in Misc and tagged Gavin Duffy, Noel Whelan, President at 12:27 pm on July 16, 2018 by Bodger. Noel Whelan’s article “Far left’s high profile contrasts sharply with modest electoral reach” describes the Solidarity-PBP grouping as minnows. The Labour Party has seven seats to Solidarity-PBP’s six. If we combine, as Mr Whelan does in his article, Solidarity-PBP’s seats with those of the Independents 4 Change grouping and other left-wing TDs, the left comfortably outnumbers Labour. Yet Noel Whelan does not call Labour small fish or “fringe deputies”. The thuddingly dull comparison between Donald Trump and the left, as constant in your newspaper as the Angelus, on the basis of criticism of the mainstream media, is fatuous. It should not need to be said that the basis and method of the left’s critique of certain sections of the media differs ever so slightly from Mr Trump’s lying, egomaniacal Twitter outbursts against CNN. Your columnist manages class snobbery and reverse class snobbery in the one paragraph, suggesting that the kind of people who vote left are not natural Irish Times readers and, heaven forbid, that some left-wing TDs have the temerity to have been born to middle-class backgrounds. I can assure him that many supporters of the left of all classes read this newspaper, either as its de facto status as the paper of record or as a means to keep abreast of the latest fashionable delusions of the bourgeois hive-mind, of which Noel Whelan is such a stalwart proponent. Posted in Misc and tagged Irish Times letters page, left, Noel Whelan at 11:37 am on July 12, 2017 by Broadsheet. 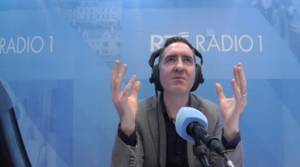 On RTÉ Radio One’s Late Debate. The panel discussed the Garda whistleblowers, following Garda Commissioner Nóirín O’Sullivan’s appearance before the Joint Oireachtas Committee on Justice and Equality earlier that day. 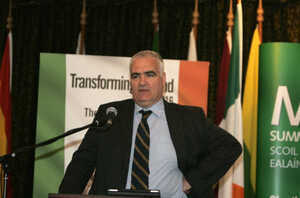 Readers will recall how, during that meeting, Independents 4 Change TD Clare Daly repeatedly asked Ms O’Sullivan if she would confirm legal counsel for one of the Garda whistleblowers wrote directly to her 14 times over a two-year period, outlining the whistleblower’s experience of surveillance and intimidation. Ms Daly asked this based on Ms O’Sullivan saying she wasn’t privy to any information about allegations of mistreatment of whistleblowers. Ms O’Sullivan repeatedly said she would not answer any specific questions in relation to any specific individual or any specific correspondence received. 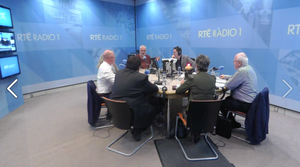 The Late Debate panel included Fine Gael TD Colm Brophy; Independent TD Stephen Donnelly; Independent TD Catherine Connolly; Sinead Ryan, of the Irish Independent; Sean Healy, director of Social Justice Ireland; and Noel Whelan, barrister and Irish Times columnist. Posted in Misc and tagged Garda whistleblowers, Late Debate, Noel Whelan at 11:45 am on October 14, 2016 by Broadsheet. I have been struck by just how hard a time the Luas drivers have been getting. This culminated yesterday in a Twitter spat between myself and [political analyst and Irish Times columnist] Noel Whelan (above)who essentially called for the army to be drafted in to drive the trams in place of striking workers. He claims to be on the side of the users but when I asked him if he would accept that Transdev were taking advantage of our shoddy laws and were irresponsibly playing out a game in public he essentially labelled me juvenile and disengaged. Welcome to Ireland, the place where the only criteria for being seen as a champion of equality is a YES Equality badge. Posted in Misc and tagged Luas, Noel Whelan at 4:15 pm on March 3, 2016 by Broadsheet. Perhaps Broadsheet readers can tell me how [Political commenter] Noel Whelan of the Irish TImes got to write this article (‘Why I Can’t Accept Hillary Clinton’s Invitation’) – and why. When you sign up for HillaryClinton.com you are asked if you are a U.S. voter resident in the U.S. or an “American Abroad” (myself). 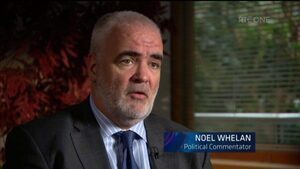 So, what did Noel Whelan tell the Hillary folks he was? Has be clarified since? 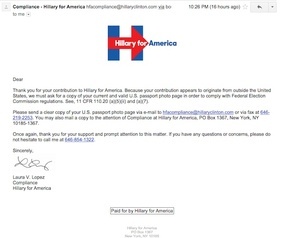 BTW, If you donate from outside the US, you’re required to verify your identity and status as an American Abroad. See above email sent to me…. Posted in Misc and tagged Hillary Clinton, Noel Whelan at 3:59 pm on August 14, 2015 by Broadsheet. Noel Whelan in today’s Irish Times. 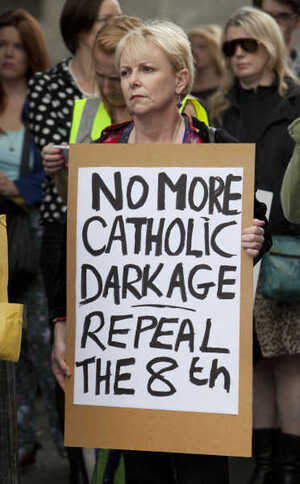 Posted in Misc and tagged Abortion, Eighth Amendment, Noel Whelan at 3:22 pm on August 29, 2014 by Broadsheet.